Windows: According to a recent report from the The U.S. Department of Energy, 10% of energy loss in homes is due to improper window installation, faulty weather stripping, as well as the insulation around the windows. There are ways to help improve your energy loss, by doing things such as replacing your weather stripping, or adding insulating weather film, however, using products such as these is like putting a patch on a flat tire, it's only meant to be a temporary solution. If the windows in your home are older and you're experiencing extremely high energy bills, there's a good chance that it's time to replace them with new, energy efficient windows, like UniShield windows from Universal Windows Direct. In the long run, a set of new windows can save you a lot of money each year on your energy bills. Insulation: Overall, in-wall insulation is one of the best ways to combat heat loss, thus helping to reduce heating costs and better distributing heat throughout your home and keeping the cold, outside air out of your house. Due to the fact that it's cost prohibitive to replace in-wall insulation once it's already been installed and sealed in, a popular way to add insulation to your home is with blown-in attic insulation. At Universal Windows Direct, we offer AttiCat, a safe, reliable, quick and easy expanding blow-in insulation system. Due to the way that it's installed, it will help save on heating costs by filling hard to reach areas, such as around pipes, wire and outlets for that can be a major source of heat loss. Curtains & Drapes: This is one that most people don't necessarily realize or even think about; by installing thicker drapery around the windows in your home, it can help help regulate your home's desired temperature. Letting the sunshine in during the day will help keep your house warm, while closing the curtains at night will help keep it warm. This works in a similar fashion to layering thicker clothing during the wintertime to keep you warm; the more layers and thicker the clothing, the warmer you'll be. During the day, let the sunlight in to boost the warmth in your home, but be sure to keep them closed at night. Gutters: Ice dams, internal water leaks, excessive weight and gutter collapse are just some of the few things that can occur if your gutters are neglected. Thus, during the wintertime when snow and ice are constantly settling and melting, it's very important to make sure water can flow freely through your gutters. Melting snow and ice must have a place to flow off your roof, and if your gutters a clogged or just ineffective, it is going to cause some potentially serious problems. One way to ensure that your gutters stay in optimal shape is to install a set of gutter guards that will help minimize any build-ups. Universal Windows Direct offers a gutter protection system called SmartCover. SmartCover has been proven to be one of the best products on the market today to defend against things like gutters becoming frozen solid, and ice dams. Siding: Another option to consider in preparing your home for the winter is to replace your existing siding with energy efficient and durable vinyl siding. 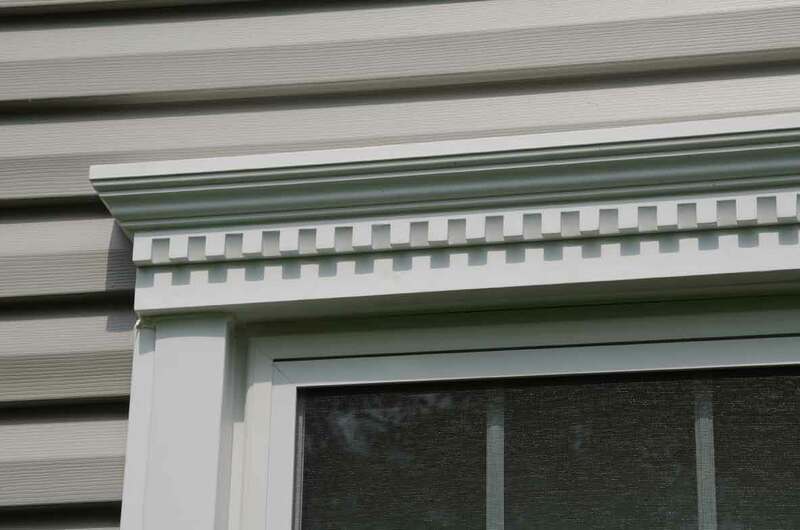 Vinyl siding is built to last, and with the constant unpredictability of winter weather, it'll give you peace of mind to know that your siding can handle anything and everything that mother nature throws at it. To achieve the ultimate in energy efficiency, this siding can be combined with a high quality insulated underlayment. Universal windows Direct offers high-quality UniShield siding and insulated underlayment that are perfect for insulating your home from the outside, in.